Washington County Sheriff's Office seeks communities help in identifying source of foreign currency. Money, both American and foreign, were picked up Friday, Jan. 4, from an alleged set of car prowlers in the Bethany area north of Beaverton. 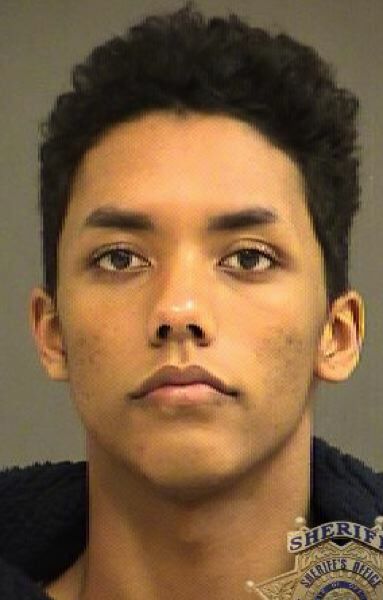 Ramon Zendejas-Holt, 19, of Portland was arrested on charges of unlawful entry motor vehicle, three-degree theft and an outstanding felony warrant. Additional charges are likely, according to the Washington County Sheriff's Office. Deputies responded to a report of car prowlers at 2:33 a.m. Friday on the 6000 block of Northwest Calypso Terrace in Bethany. Three people allegedly were seen trying to enter a vehicle and running away. With the use of a dog, Corporal Micah Akin found Zendejas-Holt hiding in a residential backyard. Deputies say they located a wallet in his possession, which they later learned had been stolen from an unlocked vehicle parked nearby. Deputies returned the wallet to the owner. Deputies located Zendejas-Holt's Volkswagen sedan nearby?, which was occupied by two females. Inside the vehicle, deputies located a large quantity of foreign currency, which they believe likely was stolen from an unlocked vehicle as well. Anyone with information about the recovered foreign currency is asked to call non-emergency dispatch at (503) 629-0111.